The very first step starts from buying good perfumes. Visit topperfume.com.au and get some sophisticated perfume and room fresheners. It would be good if your room is well decorated and have new furniture. So, if you have plans to relocate or moving to new house than drop your plan to give fresh smell to the room till then. If you have no such plan in the near future and want to give a distinct smell to the old room, clean it properly. When you have cleaned the rooms apply deodorizers to get rid of any existing odor. Now start applying the spray and keep it continued for at least seven days. Wallpapers or designer show pieces hold the smell better as compared to paints of the wall. You should also use dust mask while fumigating your room, if not done it can give you a feel of headache. Also ensure that all the doors are kept closed so that no smell gets out of the room. And at last stick to one scent. 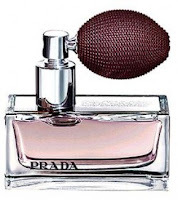 Don’t forget to spray the perfume in wardrobe and dresser so that your clothes give a natural smell. Remember that taking a shower is the first step to smell nice. The next step starts with applying beautiful fragrance on your body. You should make a habit to spray on the hair with the women perfume only when it is wet. It will give your hair a distinctive yet beautiful smell. So these were the tips to get a distinctive smell for yourself and your room. These tips will surely help you to get a wonderful start. The distinctive smell will enhance your feel and give you a signature smell. Yey, summer vacation is coming very soon and are you ready for your summer getaway already? Pack light and organize. One of my fave bags to use is backpack for it is very easy to carry on the back and it can load lots of stuff. SMAC (SM Advantage Card) Deal is : 50% Off on Adidas Sports Bags. Original price is worth P2195 and now only P1097! As pet lover, I consider my dog as my own child and part of the family already. Keeping her clean, well and safe are on top of my list that's why I need to keep an eye on my own dog. Pet lovers most of the times bring them along while they are walking/jogging or running on villages or sometimes in the woods. Some pets also got lost when they sneak out of the house/yard to follow someone or when they got afraid and it is disheartening when they got lost or just wonder around and failed to comeback. 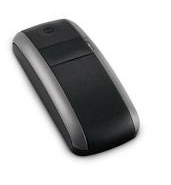 Owning a gps pet locator can be very helpful in locating them much faster. This pet locator with gps system is lightweight and can be put on pet's collar. Need new luggage for your trip this summer? 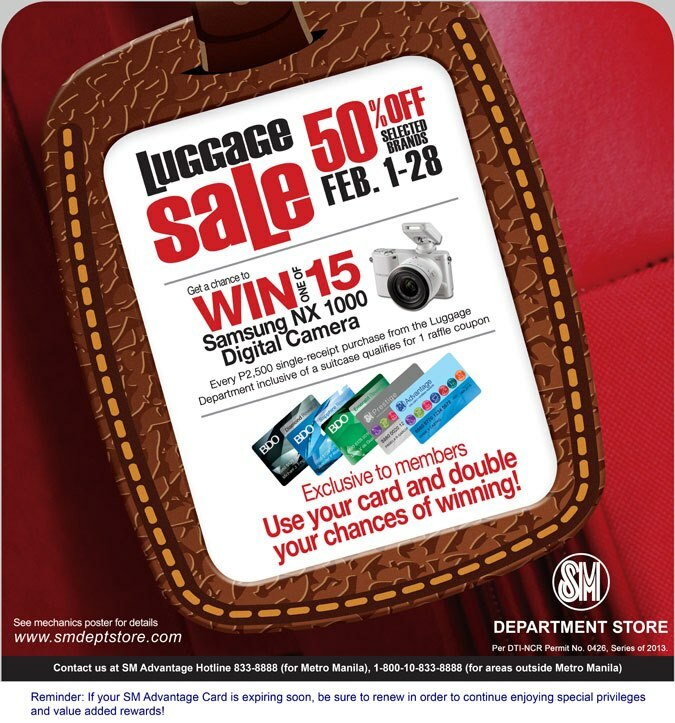 Why not check out the LUGGAGE SALE at The SM Store until February 28, 2013 to avail of discounts. Luggage are marked up to 50% OFF on selected brands so be sure to see what are available. Aside from that you'll get a chance to win one of 15 SAMSUNG NX 1000 DIGITAL CAMERA! ~~ Note: for Every P2,500 single-receipt purchase from the Luggage Department you'll have one (1) raffle coupon. If you use your SM card you'll double your chances of winning! When it comes to fashion there is really no hard or strict rules. Anyone has its own style and liking on different clothing and accessories. One maybe too conservative while others maybe bold, exaggerated and out of this world. No matter what we wear, we all love fashion. These days, some of the men’s clothing can also be worn by women. Remember the boyfriend shirts and jeans that we all love? What about the oversized watches that are the latest craze now? I remember my brother only wore those big watches but here I am wearing them too! You can even grab your bro’s white shirt and pair it with jeans or shorts, add some necklace and put your leopard shoes and no one will ever realize it was not yours anymore. Military look also became a fad in the recent years. Everywhere you turn women wore military inspired jackets and all. I don’t see any reason why we can’t wear any flight jackets especially vintage ones for they are stylish as well. Not only pilots or men in motorbikes can pull that of for there are women who are stylish can make it chic and classic. Landing Zone has some nice collection of G1, a2 flight jacket, A1 flight jackets and more. Here are some few samples. I've been trying to control myself from buying unnecessary stuff for myself so that I can save more this year but I'm just too weak everytime I saw bags, wallets, shoes, shirts , jeans and just about anything. Arrghhh.. I don't usually go out but I always want something new. I guess that is my way of pampering myself for being a hardworker or maybe I'm just not penny pinching anymore. Anyway, I wanted to control my spending but I'm not sure if I can do it until the end of the year. Here are some of the things that I want (read- "want" and not need) to have. 3. Bag (oh yes). Currently I'm only using 2 bags from Long Champ and Esprit while my other bags are just in the closet :( but still I want another bag! That's it for now and for sure the list will be longer in no time. These days the use of computers and other gadgets is not uncommon anymore. We usually keep our files, photos and other important documents on our hard drive for safe keeping but little that we know it can disappear or get corrupted. With all the viruses, malware, trojans and other pesky computer annoyances, we need to keep our computers safe and clean all the time. Installing anti-virus, malware detection programs and such can help us detect virus and such . Those that have businesses, it's necessary to keep their networks safe and secure that is why Computer Security solutions can greatly help tighten their computer security.